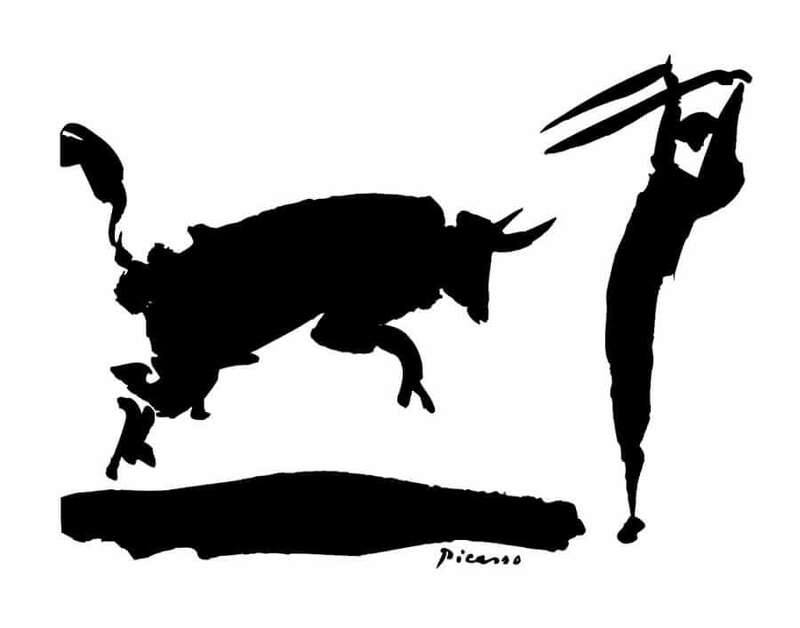 Bullfight III is a brush and ink drawing on paper made by Picasso in the château of Vauvenargues, near Aix-en-Provence, where he and his partner Jacqueline Roque had moved in 1958. Executed on 25 February 1960, this is number ten of fourteen drawings on the theme of the bullfight that Picasso made on the same day. Thirteen of these are ink wash drawings while one (number thirteen) was made in pastel, India ink and wash; Picasso dated, numbered and signed all of them. The drawings depict different moments and protagonists of the bullfight, from the banderilleros trying to spear the bull with their banderillas (decorated barbed darts), to the horse-riding picadores attacking the bull with a long spear to weaken it, and the matador, the star bullfighter who engages in the ultimate death of the bull. They were first shown at the Galerie Louise Leiris, Paris, at the end of 1960, together with other subjects inspired by Spain.